During the past few weeks we've had several interesting visitors to the field. One was a friend who had worked twenty years on a Questair Venture. 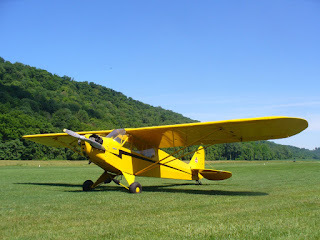 His landing here was his first on grass with the "flying egg" and it was great to see all his efforts take to the air. The work he did on it is amazing. 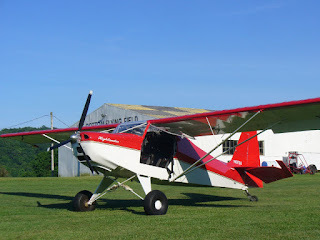 Another interesting visit was with a couple who flew here in their Champ that once belonged to another Lee Bottom Flying Field family member. It seems the Champ missed the place and insisted they come here before they could go home. 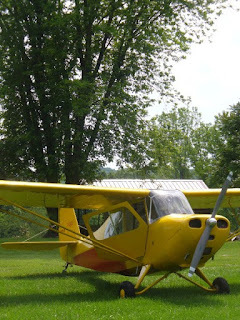 Then there was this Cub that was flown in by two friends. One of the guys had owned it since the 60's and back in the early 70's it was sitting disassembled when a tornado passed by and sucked all the tail feathers out the door. Over time, two of them were found with the third going missing in action. The rest of the plane sat in storage until 1980 when the owner decided to put it back together. Needing the third tail feather though, his search led him to Lee Bottom and the aircraft salvage operation that once existed here. Fortunately, they had just what he needed and his recent visit marked his first time back to the airport. 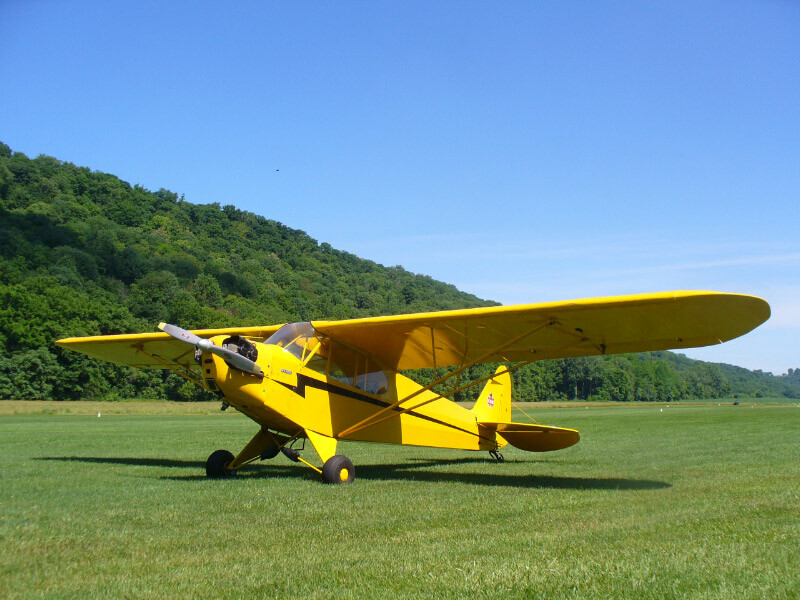 I must say, it was really neat to see a nice yellow Cub flying around with a little bit of Lee Bottom history attached to it. And then there was the Highlander that came in just yesterday. This machine was very well built and finished but the most exciting thing was the new Sport Pilot at the controls. 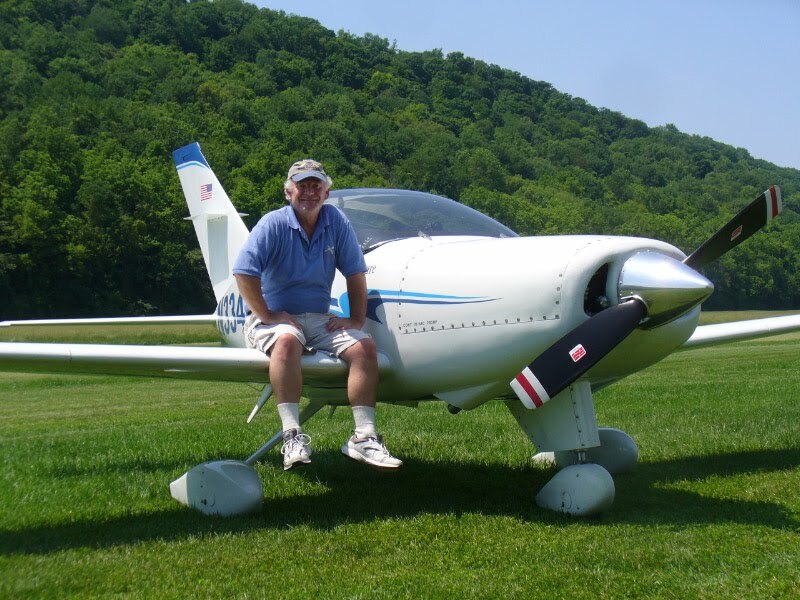 The owner was so excited to be flying and in his very own Highlander that it was difficult to not be excited ourselves. I wish there were thousands more like him.